LILLY, BURGESS MEREDITH & JOHN KERT, J.A.N.U.S. AUTHOR’S NOTE: This article was written upon the request of John and Toni Lilly for the Human/Dolphin Foundation. The content of this article is based on personal interaction with John and Toni Lilly; the writings of John Lilly; other writings; my own ideas and experience. It is a report, a synthesis, and a message. Interest in non-human intelligence has traditionally been the domain of the astronomer and the science-fiction author. For years they speculated on the existence of intelligent life forms on other planets in our solar system; with the expanded Hubble universe of the 20th century, the speculation reached out to remote star-systems and galaxies. Radio astronomers have been “listening” for signals from “extraterrestrial civilizations” and beaming out encoded messages into space for two decades. Few considered that “extraterrestrial”, which means literally, “away from land”, could mean “in the sea”, here and now, on this planet. 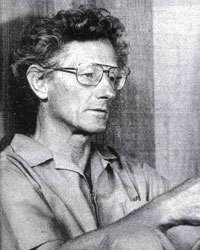 Contemporary interest in cetaceans (who are the completely water-borne marine mammals) stems largely from the ideas and experimentation of Dr. John C. Lilly, who was apparently the first human since Aristotle to consider that cetaceans may be highly evolved and intelligent beings. And the current possibility/probability of direct communication with the exists through the processes and activities of dedicated minds and state-of-the-art technology, guided by the vision and genius of Dr. Lilly, and woven into a non-profit organization called The Human/Dolphin Foundation. Dr. Lilly’s background is important to understanding the present cetacean communication work. He is a diversely and talented general scientist 1 who worked in the area of brain/mind research before becoming interested in communicating with cetaceans. He has made many contributions to biological and medical science, including a theory of positive and negative rewarding systems in the brain, and some of the earliest work done with implanted electrodes. In the mid-1950’s he quit cat and monkey brains and founded the Communications Research Institute in the Virgin Islands, which conducted neurobiological and communications research with bottle-nosed dolphins. These animals were of interest because their brains were more similar to the human brain than any other known brains. As part of his earlier work he had also developed the isolation tank, a tool which enabled him to float relatively free from gravity, cut off from all input from the external environment, free to study and experience the mind’s own processes. He pursued the dolphin work and the tank work concurrently for 10 years. Then in 1964 he began a two-year series of experiments on himself with LSD in the isolation tank. As his own mind and the universe were manifested to him, his attitude towards the dolphin research was greatly transformed. In the mid-1960’s, after 12 years of research that constituted almost all of what was being done with dolphins, he closed the lab, realizing that he, and man as a whole, was not yet ready to attempt communication with an alien mind, because we knew so little of our own minds. He also realized that the dolphins were highly evolved organisms not to be held prisoner with electrodes in their brains (a concentration camp? ), and that the chief limitation in the communications work lay in the human end of the system. In his own words, “…we carried to them our own projections and our own expectations. The more I got to know dolphins, the more alien they became. As you get rid of your own projections and your feeling that you understand dolphins, and give them a chance to express themselves, they become stranger and stranger. You suddenly realize that there is an entity on the other side of that barrier of communication that’s comparable to you – one that’s trying just as hard to communicate.” 2 Lilly’s work with LSD in the isolation tank spawned three books which are beginning to be recognized as landmarks in the exploration of the human psyche.3 With this work he has taken giant steps towards mapping domains of inner experience that for thousands of years were known only to spiritual masters of esoteric Eastern disciplines. In the introspective tradition of William James, and with an internal application of the scientific method, Lilly has demonstrated that science is a western way of enlightenment. In 1976, with newly integrated neurocircuitry, much experience of non-ordinary reality, new insights into the communicative process, new computer technology, and a good deal of respect for the unknown, Lilly founded the Human/Dolphin Foundation to sponsor research dedicated to establishing direct communication with dolphins and to educating humans about this new reality. After his voyages into the far-out realms of the psyche, he had a lot of questions for the dolphins, who have been around for thirty million years, as opposed to man’s one hundred thousand. The specific cetacean we are interested in for communication purposes is tursiops truncatus, the Atlantic bottle-nosed dolphin 5 , because his brain is most similar to ours, the humans, or homo sapiens. Evolutionary theory states that dolphins were once land-dwellers who returned to the sea. Were this the case it could be possible that humans and dolphins evolved from a common ancestor. Alternately, it is conceivable that dolphins evolved from the icthyosaurus, a prehistoric sea-dwelling reptile. All we can say for sure is that we can’t be sure! We operate on the basic assumption that intelligence, consciousness, and experience are functions of the central nervous system (CNS) of the organism. The CNS is also the control system of the organism, regulating behavior, bodily processes, and processing of sensory information. The CNS also gives rise to that nebulous entity known as “mind”, which everyone experiences but no one can define! A vast literature exists concerning the relationship between brain and mind (known as the “mind/brain problem” in philosophy and psychology). The best model to date seems to be that of the brain as a biological computer 6 , in which the brain and nervous system is viewed as the hardware (circuitry) and the mind is viewed as the software (the processes within the circuitry). The nervous system and sensory organs function as antennae of sorts, continuously exchanging information with the organism’s environment. The software consists of genetic programs, which are inherited and “wired-in”, and of acquired programs, or memory, which is formed through the living and growing experiences of the organism. The non-isolated, healthy nervous system is in continuous feedback with itself (through memory) and with its environment (through sensory channels).7 As we grow, experience, and learn, the quantity and quality of our programs increases. Metaprograms, or programs that control other sets of programs, emerge – learning to learn, for example. All higher mental functions are incredibly complex metaprograms. The self, one’s identity, “I”, the experiencer is the metaprogrammer, the chooser, the decider. A large number of metaprograms are concerned with the process of modelling or simulation, of what which we are not. We do not generally experience reality directly; we experience our nervous system’s simulation of reality. The five sensory channels that provide the information for the construction of most of our perceptions of reality are in reality narrow filters, processing selected regions of the total spectrum of energy/information that is “reality.” 8 At this instant, you, the reader are simulating this printed page! Your visual system is processing light reflected from the page! Everything we experience in ordinary states is a simulation. What everyone simulates and agrees on is the everyday world of consensus reality. But it is really different for everyone. The essence of science, philosophy, and religion is to discover that which is real, or true, or common to everyone’s experience of reality. This mutuality of experience, or agreement on reality, is the essence of communication. So…we humans simulate each other and dolphins; the dolphins simulate each other and us humans. As we share more and more, and learn to communicate, our mutual simulations will get better and better. We will grow to know each other. Since experience and communication are functions of the nervous system, let us compare the brains of homo sapiens and tursiops truncatus. The central structures of all mammalian brains are identical; as we progress from the most primitive mammals, the brain size increases in the region of the cortex. The cortex consists of the outermost layers of the brain. Beginning with the chimpanzee, silent areas of the cortex appear. They are termed silent because in electrode mapping studies stimulation in these areas produce no behavioral change – these brain regions are not directly connected to the body. Humans have very large cortices, or silent areas. These areas appear to be the seat of our higher, or characteristic human qualities, for example, morals, ethics, long-term problem solving, reasoning, abstraction, language, religion, altruism. All of our uniquely human qualities appear to be a function of cortical circuitry. The average human brain is 1400 grams. The average tursiops brain is 1800 grams. This 40% of additional brain is in the silent, cortical regions. Let us now consider the inner experience of the dolphin, and the problem of evaluating their level of intelligence. In the case of humans, we can’t know what each other’s experience of anything is like. We can assume that our experiences are similar, because our nervous systems are similar, and because we can communicate to a degree, meaning we agree on what we communicate about, which is experience. In the case of humans considering dolphin experience, however, we must be more speculative, because we know that our respective experiences of reality are very different, and because we do not yet communicate directly. Let us first consider the notion of intelligence. There is no objective measure of intelligence. About all we can do is to look at the organism’s flexibility in its adaptation to its environment and to changes in its environment. Dolphins are supremely adapted to life in the sea, down to streamlining and lubrication of their bodies. Humans are well adapted to life on land, but much of it comes about through manipulation of the environment, often in thoughtless, short-sighted, and disharmonious ways. Dolphins do not manipulate their environment, nor do they have material possessions to separate them from living. They seem to be more in tune with their environment than humans are. They have survived for 30 million years. Now, the shark, too, has been around in its present form for millions of years. It appears to be highly successful in adaptation to the sea as well. Are the shark and the dolphin equally intelligent? Here we approach a difficult issue. Perhaps they are both equal in terms of biological intelligence – they have both solved their long-term problems of survival. But obviously they are very different sorts of creatures, as we can judge from our relations with them. We know that a shark would as soon eat us or part of us as look at or taste us. The shark has been described as the perfect eating machine; he will even eat part of himself when given the chance. It is probable that the sum total of a shark’s experience is a simple program for getting food – he has little or no choice in any of his actions. Now look at tursiops. Not only is there no record of any dolphin ever attacking or injuring a human, there are many records of dolphins going to great lengths to help humans in distress in the sea, even saving drowning humans by pushing them to shore. They appear to have a sort of ethical code that governs their behavior with humans: they are to be kind and tolerant of us at all costs. It appears that the parent dolphins teach this to their offspring. This sounds a lot like something a great teacher of 2000 years ago taught! The dolphins appear to be very loving and playful among themselves and with humans. They seem to love interacting with humans. The life of the dolphin seems to be very simple, free, and beautiful. What is their inner experience like? Of course we can only speculate. Let us look at experience quantitatively and qualitatively. The experience of the shark is probably very low in both respects, judging from their observed behavior and from the size of their microchip brain. The experience of the dolphin, however, is probably quanitatively similar to ours as humans because our central nervous systems are similar. The richness and variety of their experience probably compares to, perhaps exceeds, ours, with their 40% larger cortex. Qualitatively, however, their experience is bound to be extremely alien to us. They don’t have hands or possessions; we are hand and object-oriented. They move in three dimensions in a medium of density almost equal to their bodies, and are relatively free from gravity; we move only in two dimensions in a medium of density much less than that of our bodies, and are constantly fighting gravity. They saw me, not all simultaneously. I went to them; they came to me. I looked. I could not believe my eyes. The beautiful beings I beheld radiated love. I reached out. I touched. The eyes, vividly expressive and alive. The being. The dolphin. The love. I was totally blown away. Dolphins are really wild! And when you feel those razor sharp teeth close ever-so-gently on your hand in what seems to be a gesture of affection, you can’t help but wonder, who is behind those magical eyes? It appears, then, that the bottle-nosed dolphin is a highly-evolved organism of high, but alien, intelligence. They are playful and spirited. They seem to have a positive, friendly attitude towards man, and enjoy interaction with him. A good prospect for direct communication. Now that we’ve decided who to communicate with, how do we go about it? Before taking the first step, we must leave all excess baggage behind. We must know as fully as possible our own biases and preconceptions. One’s beliefs, if not sufficiently open-ended, can function as effective filtering mechanisms or pattern-imposers, coloring one’s actual experiences; one’s beliefs determine one’s interpretation of experience/reality. We must know our beliefs, and if not sufficiently broad, expand them to allow for unknown experience. In general, beliefs are limits to be transcended. There are many different types of communication. Making love is probably the most direct and most intense form of communication, intra- or inter-species. (Yes, it has been done!) We humans use a variety of bodily positions and gestures to say various things, generally on an unconscious level. The case of music is very special and very interesting. Let’s consider instrumental, or non-verbal, music. Music is sound, vibrations in air, just like speech and noise. But what makes it “music?” It is sound which is ordered in specific ways. Music has definite patterns of rhythmic (temporal) variation and repetition, and definite patterns of harmonic (frequency relationship) variation and repetition. We are speaking of western music. Eastern music is basically rhythmic and not harmonic, i.e., utilizing chords. Western music is rhythmic and harmonic. Basically, music is combinations of sounds that sound good to us. It is the frequency relationships that determine whether or not we call it music: western music utilizes any types of rhythms, but a more limited number of frequency relationships, or chords. What we call chords are sounds whose frequencies relate to each other in ratios of the reciprocals of small whole numbers. What does music communicate? Many things, basically feelings and emotions, which we all experience intensely but which we know little about. They are very important to us; in fact, they seem to be the essence of life. But why? The concept of resonance is very important. Resonance is a measure of how well two or more systems vibrate together. Two lovers are resonating well…their bodily rhythms are highly attuned to each other. Musicians playing together are causing their instruments to resonate harmoniously, producing music; if they are playing jazz, then their own bodily rhythms and feelings are being expressed by and through the music, reaching you, the listener, thereby effecting communication. Jazz is very emotional music; Bach is a superb blend of intellect and emotion. Feeling and emotion seem to be connected to resonance.14 We believe that the same music affects different people in similar ways, if they are in a similar state, and are open to it. How can this be of use in communicating with dolphins? We know already that dolphins are highly and positively responsive to music, but that’s about all. An interesting area for experimentation. We need more research into how our nervous systems perceive and structure sound patterning; music could be a powerful future tool. Human language is symbolic communication in the sonic sphere (there is also non-symbolic communication in the tone of the voice and in the inflection of the words, but the words, or symbols, convey the more precise meanings). Symbolic means that the communicators can deal with representations, or symbols, of things, events, relationships – abstractions of the actual reality –which can transcend temporal and spatial limitations. We can talk about the future or the past, or about a place far away. We can refer to something outside of immediate mutual experience. Symbolic communication is opposed to the direct communication of love-making or hearing music, for example. To repeat, human language is a sonic code, or symbolic system. Users agree upon the kinds of signals (the specific language and dialect), the rules for their manipulation (grammar, syntactics), and their interpretation (semantics). Meaning exists not in the signals exchanged but in the minds of the communicators (their simulation of the signals). Meaning depends upon agreement, upon mutuality of experience, and is a difficult issue at best. (A prime philosophical question: can there be meaning in a relative universe?) The essence of meaning seems to be connected to the relationship between a system and a larger system of which it is a part (e.g., “who are we?”- the relationship between the human system and the larger cosmic system). This is the essence of the Whorf-Sapir hypothesis of linguistic relativity. It may be safest to assume that we are nobody! Comparing the sensory systems of humans and dolphins, humans are basically visual creatures and dolphins are basically sonic creatures. We both communicate with members of our own species with sound: humans process more environmental information in the visual sphere, dolphins process more in the sonic sphere. Dolphins have about the same area of acoustic cortex as humans have of visual cortex. It is theorized that dolphins construct an acoustic “image” just as we construct visual images. Their image would depend on properties of sounc, just as ours depends on properties of light. For example, if a dolphin encountered a human in water he would see inside the human’s body because the ultrasound the dolphins use penetrates flesh very easily. A limitation to direct sonic communication is the difference in the physical parameters of our respective sonic communications. Humans speak in air, dolphins communicate in water. Humans have one sonic transmitter, the voice box or larynx. Dolphins have four sonic transmitters. One is used for echo-location, or sonar. We both encode our sonic signals using temporal (rhythmic) and frequency (pitch) variations. We do this in one channel; dolphins can do this in one to three channels, simultaneously varying rhythm and/or frequency in any combinations of the three channels. On the surface, their sonic communication resembles four-channel stereo music more than it does our language! Their frequency range is broader and higher than ours; it extends basically from 3,000 hertz to 80,000 hertz. The human range is 20 to 20,000. In comparing the human and dolphin minds it is important to note that we use various recording devices – the written and printed word, the tape recorder. This gives us a great advantage over time and space: we have access to the accumulated experience of many previous generations, we can read the ideas of people we could never interact with. The dolphins, on the other hand, have no recording devices. Durk Pearson, a biologist at MIT, suggested that we give the dolphins tape recorders, implying that they would record what was of greatest importance to them. Lilly theorizes that dolphins and other cetaceans may have vocal histories that are passed from generation to generation. This is an exciting idea. Imagine hearing and understanding cetacean Vedas! So far we have discussed the basic ideas behind why we are interested in dolphins, and have indulged in some interesting speculation. Let’s now look at the actual approach to the problem of direct communication with dolphins. The basic idea is to create a new symbolic code utilizing strings of sonic elements as symbols. The sonic elements are single-frequency tones of short duration. Rather than teaching them English or our trying to learn “dolphinese”, this approach allow us to meet each other half-way. Moreover, Lilly has demonstrated that dolphins possess a sophisticated ability to match strings of sonic bursts in number, duration, and in duration of inter-burst silence.16 They go to inordinate lengths to mimic our voices in air, but they can manipulate and generate underwater sonic bursts much more easily. With modern computer technology we can transform their frequency range into ours and vice versa in real time (which effectively means simultaneously); we can also write flexible programs that will further test tursiops’ sonic capabilities and which can acquaint tursiops with the beginnings of a sonic code; the code development will then proceed interactively. That is essentially the plan for the early experiments with tursiops. Hardware, facilities and staff are available. Michael and Patricia Demetrios of Marineworld/Africa USA have donated the use of two tanks and adjoining space. The computers and peripheral equipment is housed in a van nearby. Several months of reprogramming experiments have already been done; the work was terminated when the dolphins were sold by their owners. Funds for the purchase of two new tursiops were obtained, and John and Toni Lilly supervised their “capture” 17 in Gulfport, Mississippi. The two new tursiops, Joseph and Rosali, await the completion of a connecting channel between the two tanks here. Work will resume when they arrive. The Human/Dolphin Foundation is a non-profit organization and is funded by contributions, membership fees, and sale of books and posters. The work is realized through the voluntary efforts of a dedicated staff of 8-10 young people who give generously of their time and energy. John and Toni Lilly spearhead the group and John Kert, a physicist, directs the research. The first steps in the evolving relationship between man and dolphin are now being taken. These are important steps for us young humans: they are really our first real steps as a young species. The emerging world view in the west is one of the realization of the inter-dependence and inter-connectedness of all things. The eastern mystics realized this unity thousands of years ago. As east meets with west, unifying the planetary cultures, so will man conjoin with the dolphin, unifying the spirit of life on Earth. What things have they known for millions of years? Let us become as one, and co-create a future of life, love and joy! 4) Dolphins are 7-12 feet long, with a beak and a human-sized brain; Porpoises are 5-6 feet long with no beak and a chimpanzee-sized brain; dolphin fish are not mammals, and have acorn-sized brains. 5) This species is most familiar to humans; they are commonly seen in oceanaria shows. Flipper was a tursiops. 7) Transcendental personal experience indicates that channels of information flow exist that are outside the domain of normal sensory channels. The significance of the isolation tank is that the nervous system is cut off from environmental information, experiencing only it stored programs and/or information flow from these unknown channels. 8) It is interesting to note the Bergson/Huxley theory of normal consciousness as being a filtered product of the nervous system contents; the brain allows only biologically useful (i.e., survival oriented) information into consciousness, filtering out flow from the non-ordinary realm. Also note the Pribram/Bohm theory, which states that the brain is a frequency analyser which mathematically interprets a realm of reality that transcends space and time, called holomovement, to generate ordinary reality. The non-filtering brain (e.g., one that is activated with LSD) probably tunes directly into these various dimensions of frequency domain. 9) The extremely large brains of whales may give them minds so alien to ours that communication may never be possible; we can at least strive for mutual acceptance. 10) Note that dolphin trainers report a high incidence of telepathic communication with their dolphins! 11) Siegel interview, op. cit. 12) Siegel interview, op. cit. Believe in communication between man and dolphin.